In the land of Serendia, surrounded by swamps and dense fog, lies the small town known as Glish. 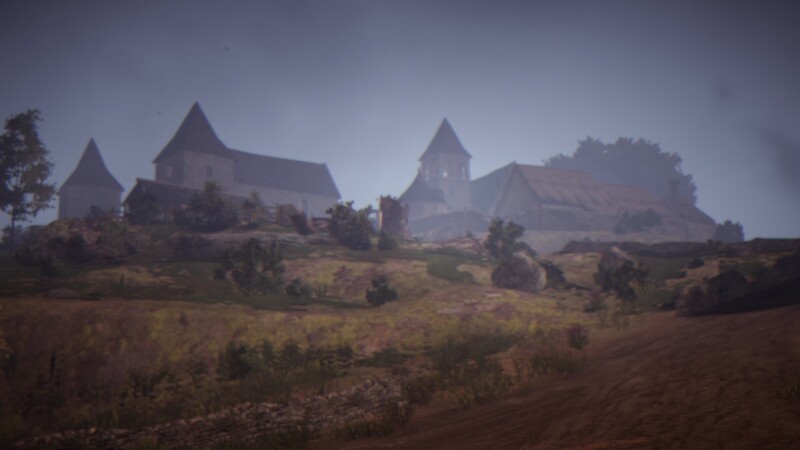 The town is located southwest of Heidel, though it was originally built further to the east. The first town, now referred to as "Old Glish," merely exists as a ruin nowadays. The people of the original town evacuated it in order to avoid the invading Fogan. After the villagers had settled in the new town, an explosion destroyed the original Glish, leaving only Fogan casualties and mysterious mud beings that appeared after the dust had settled. Glish was founded by merchants from Keplan and Calpheon, though it has never become a heavily populated settlement. The town remains a quiet place with a mysterious atmosphere. Glish is now famous for its Naga craftworks, a tradition artists from Glish are trying to keep alive by making sculptures and other crafts. During the original days of Glish, trade was flourishing and a commemorative coin was made. It is now known as a "Glish Ruins Coin," and is favored among collectors. According to a man passing by the village, many of the original townsfolk used to practice Alchemy but have stopped for some reason. He recalls the previous chief, Donatt, and claims that the current chief of Glish, Freharau, is much kinder. Donatt and Freharau supposedly had their differences of opinion, though they were close friends. The previous chief of Glish attempted to go down a dark path before the original town ceased to exist. Some blame Donatt's pursuits for the explosion that destroyed Old Glish and the appearance of the mud creatures. Guards in Glish fear a second explosion happening soon, and warn any visitors or travelers of staying in the town for too long. experiments is unknown, but it has to do with Black Stones and Donatt's fate. Despite being considered a quiet and uneventful location, many adventurers, mercenaries and hunters are seen arriving at Glish lately. The pious and faithful of Glish believe that carrying a small pouch of Black Stones will protect them from misfortune and bad luck. Water seems to be a problem in Glish, as the water from the Extraction Mill is contaminated. There is an investigator in disguise trying to find more information on the explosion of the original Glish and the Mudsters. Freharau: The current chief of Glish and an Alchemist. He is a native of Glish and trusted by the people. Larc: She handles trading in Glish and conducts trading between Heidel and Mediah. She sells Alchemy ingredients to Freharau and is secretly involved in trading Black Crystals with Jordine. Deborah: Sister to Larc and propietor of Glish's inn. She has brought many adventurers and travelers to the town. Lionel Riche: The priest of a recently constructed church in Glish. He comes from Calpheon and hasn't been officially appointed by the Order of Priests. He must first succeed in propagating Elionism throughout Glish. Kanna: An artist who enriches life in Glish, she practices the craft of Naga figurines.